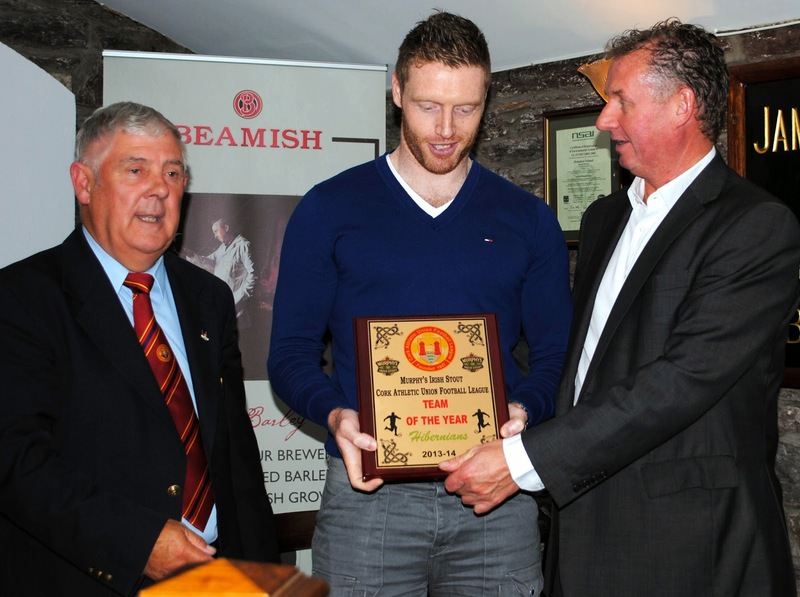 Hibernians Kevin Murphy receiving the Team of the Year award from Ted O’Mahony. Also in picture is Jim Cashman, Heineken Ireland. 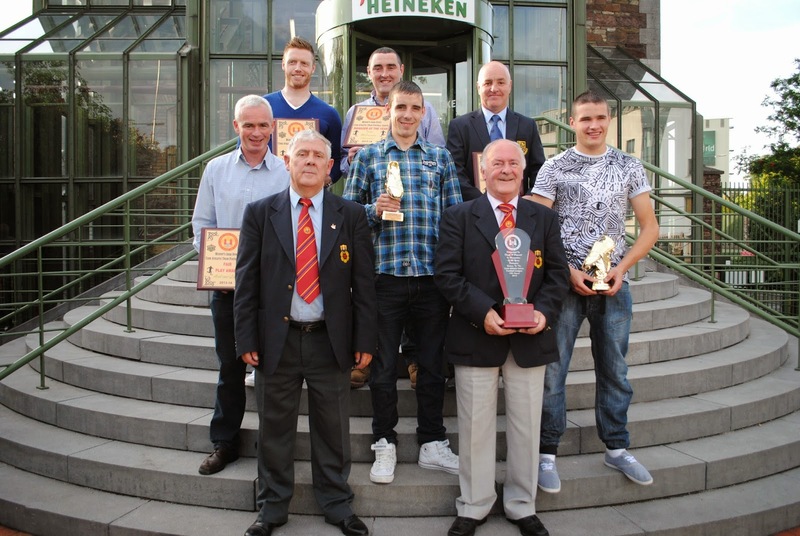 Terry McSweeney (Hibernians) receiving the Manager of the Year award from Martin Conlon. Also in picture is Jim Cashman, Heineken Ireland. 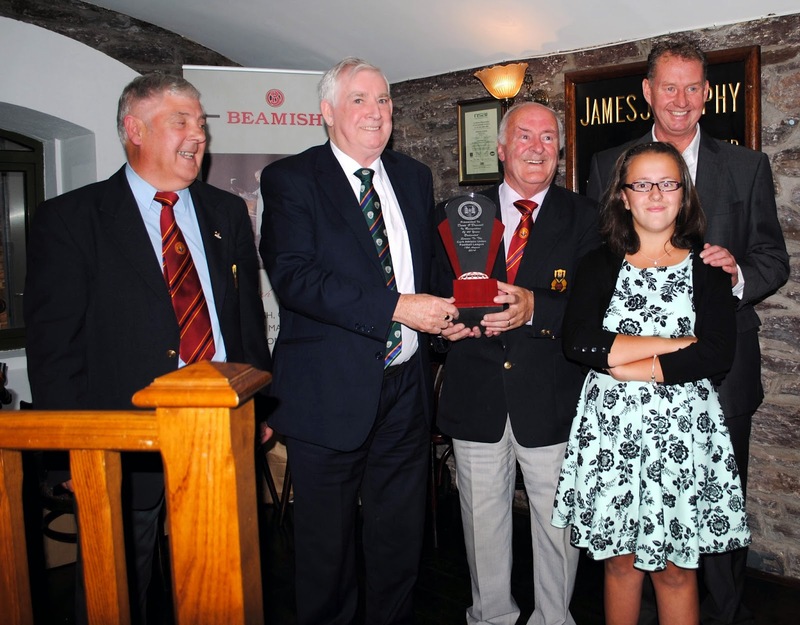 Tom Tully receiving the Referee of the Year award from Tom Fitzgerald. Also in picture is Jim Cashman, Heineken Ireland. 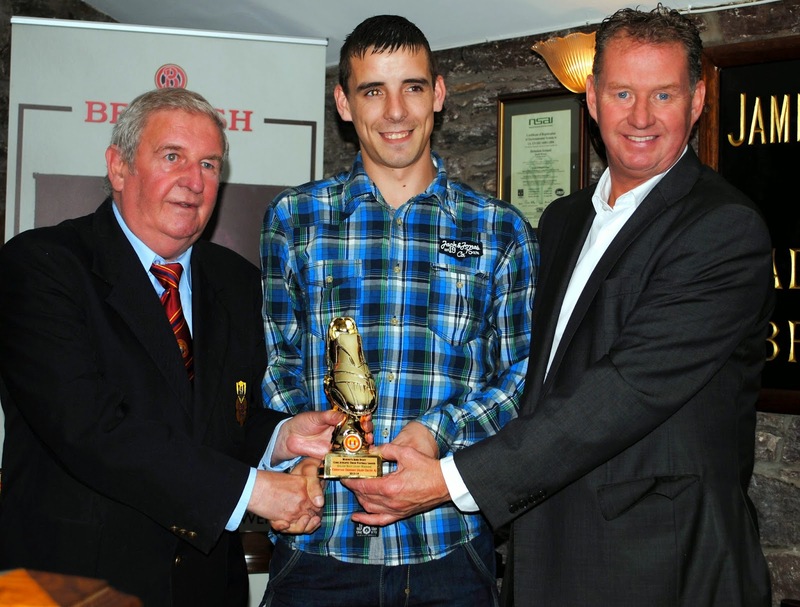 Scott Callanan (Kilreen Celtic) receiving his Golden Boot award from Denis Crowley. Also in picture is Jim Cashman, Heineken Ireland. 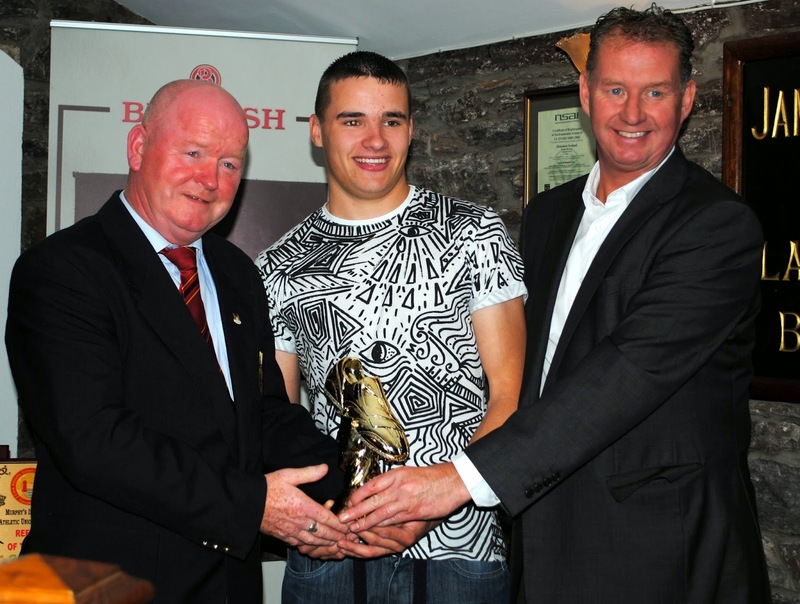 Christian Dennehy (Glen Celtic A) receiving his Golden Boot award from Tony Chambers. Also in picture is Jim Cashman, Heineken Ireland. 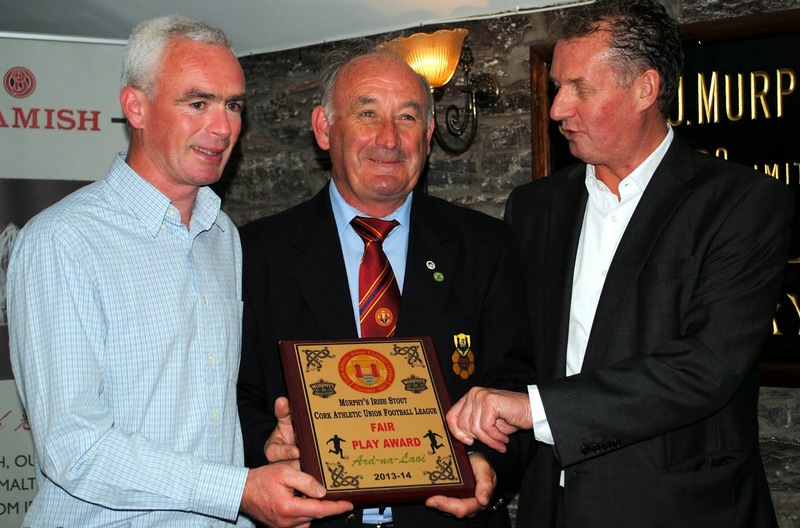 Ard-na-Laoi: Tim Lynch (Ard-Na-Laoi) receives the Fair play Award from Richard Browne. 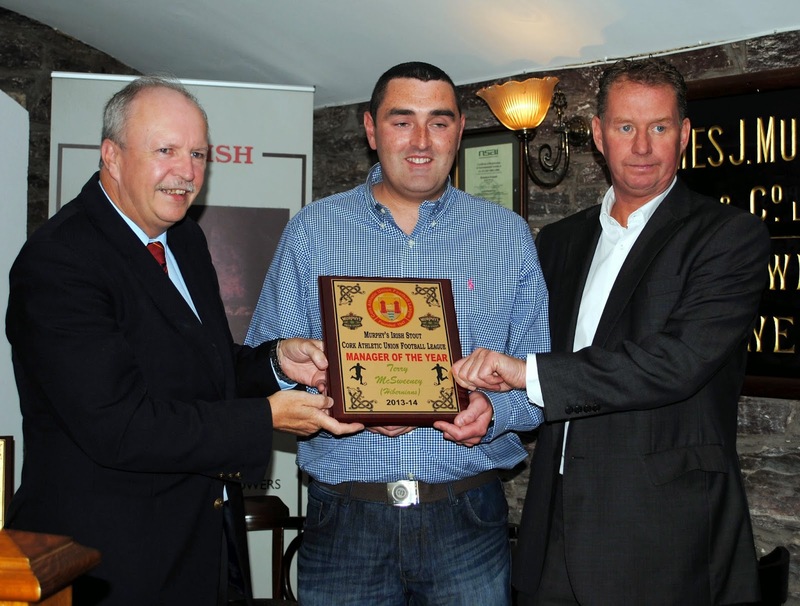 Also in picture is Jim Cashman, Heineken Ireland. 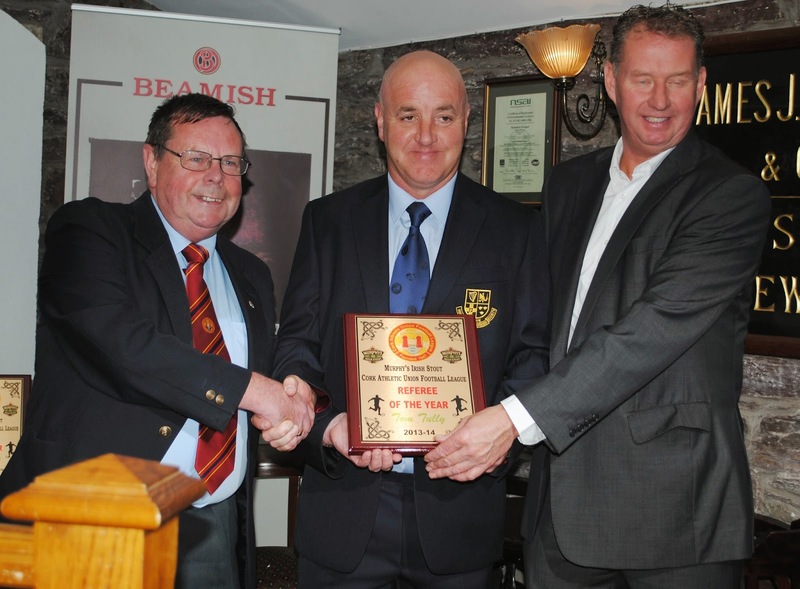 Denis O’Driscoll receiving a presentation for 40 years service to football from FAI President Tony Fitzgerald.